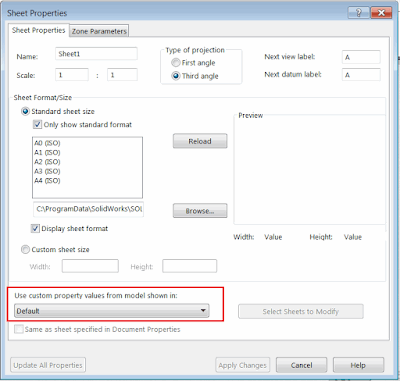 This macro will rename all drawings sheets using the value of the specified custom property using SOLIDWORKS API. All sheets are renamed based on the value of this property. Macro will get the value from the model view specified in the Sheet Properties. 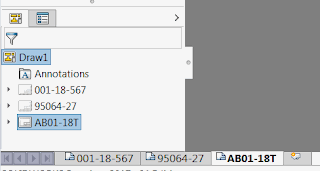 The ‘Same as sheet specified in Document Properties’ option is not supported. If this option is selected then the property from the first view will be used. Macro will try to read the configuration specific property and if the property is not specified then model level property is read. MsgBox "Failed to get the model from drawing view. Make sure that the drawing is not lightweight"
MsgBox "Failed to get the view to get property from"